Storm instructional staff member Mike Jasnau will be set up in Reno to do video analysis lessons throughout the 2018 USBC Women’s Championships, April 19 – June 30. 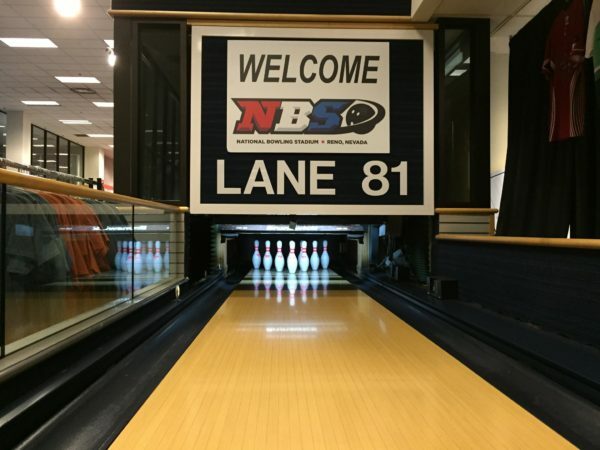 You can find Mike on Lane 81 in the Lane 81 Pro Shop at the National Bowling Stadium 300 N. Center Street in Reno. Mike, who is a PBA Champion and Bowlers Journal Top 100 Coach as well as a USBC Silver Level Coach, has over 20 years of coaching experience and has done over 12,000 video analysis lessons. Jasnau has provided coaching at USBC Nationals for the over 18 events. 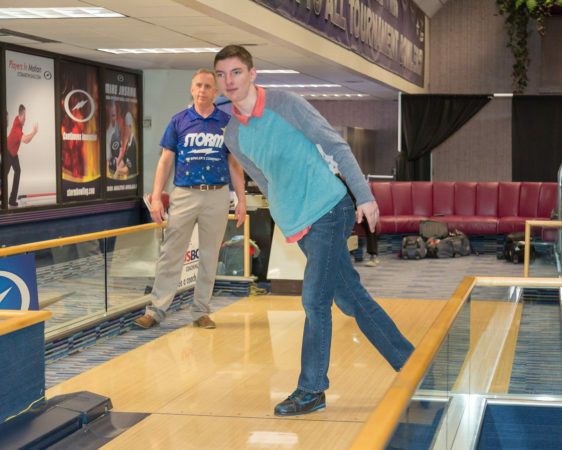 During that time he has helped thousands of bowlers to improve their games and results, including over 50 PBA/PWBA Champions and USBC National Champions as well as many of our own Storm Pro staff members. Jasnau, the Bowling Stadium’s premier and most successful coach, will once again be featuring a CATS system on Lane 81. The Computer Aided Tracking System is able to provide important information on what your ball is doing on the lane. Ball speed, speed control, accuracy at the arrows and breakpoint, launch and entry angles as well as rev rate are precisely measured and analyzed. In addition to this valuable information, a detailed video analysis is part of the lesson. A flash drive with audio will be included with the lesson. Getting help with your bowling here on Lane 81 is for all ages and all abilities, from beginners to the pros. Please book your session with him at least a few weeks ahead of time to assure that you’re able to get the day and time that you’d prefer. Men and juniors are also welcomed to make appointments. The total cost for this complete package is $160 and takes about 90 minutes. A video analysis without the CATS data will also be available for a cost of $120 for an hour session.